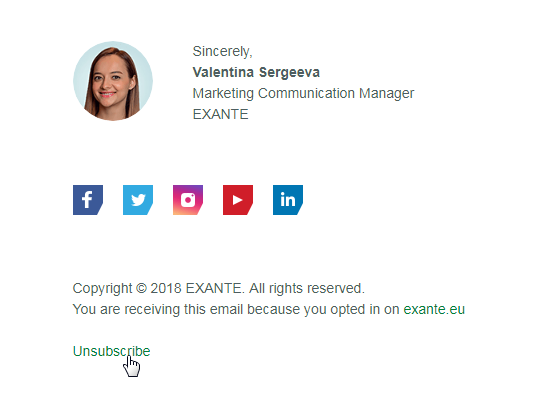 If something goes wrong with this way, however, you can also drop a line at support@exante.eu, and we will delete your email from our mailing lists. Please note that after unsubscribing you will stop receiving only our newsletters. You will still receive all account reports and other significant information to your email. What should I do if I can not find the instrument I need in the EXANTE platform? How do I restore my login?